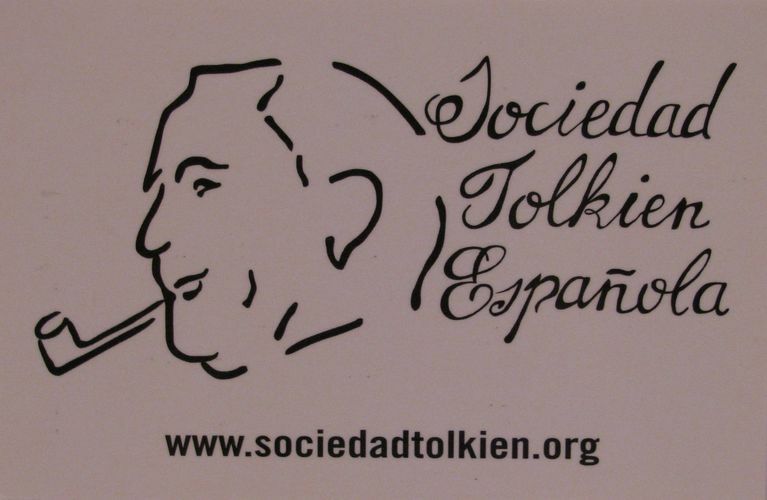 Seven issues from the Sociedad Tolkien Española and many commercial issues from Ediciones Minotauro/Editorial Planeta, S.A.. 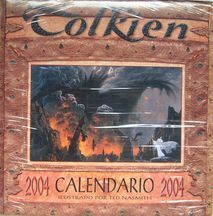 I have found them all difficult to obtain. 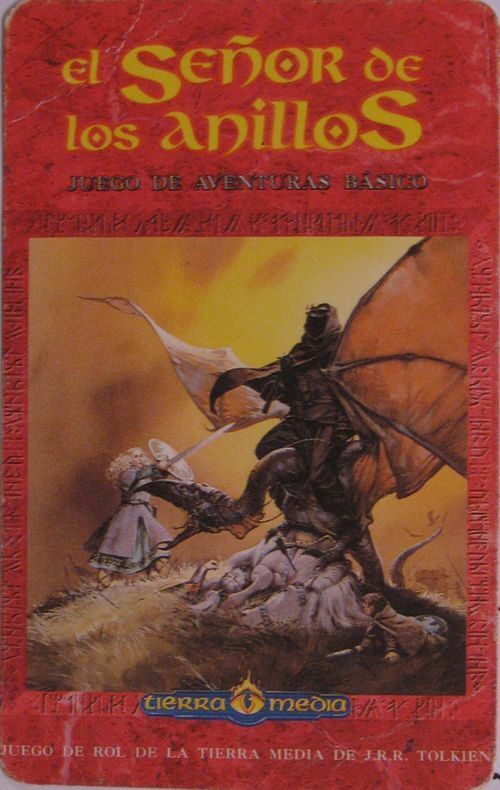 Thank you to Pardagast for his time and help to collect several of them! 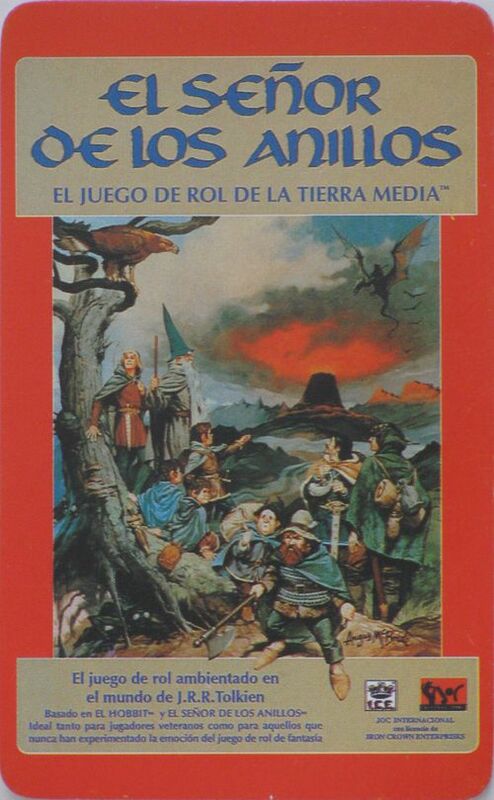 And many thanks to Imrahil (Helios) for his assistance with the S.T.E. issues. 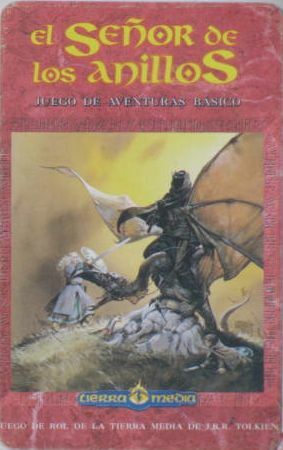 VARIANT: “J.R.R. 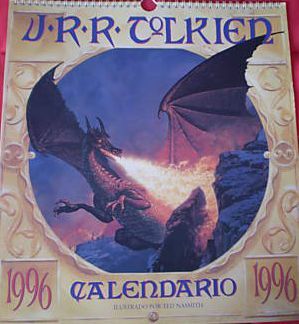 Tolkien Calendario 1996” Illustrations by Ted Nasmith. 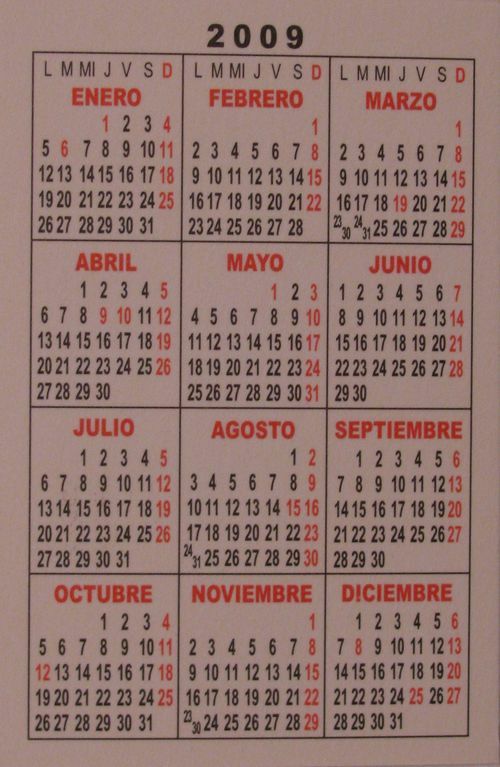 Dimensions: 13 3/8 x 15 1/4 inches (w x h); wire-bound; thick plastic hanging loop. 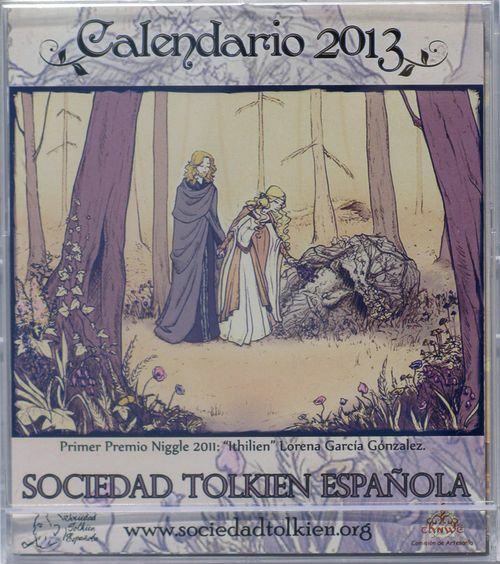 "Computo de Imladris Sociedad Tolkien Española 96 97" Created by members of the Valladolid Smial of the Spanish Tolkien Society. 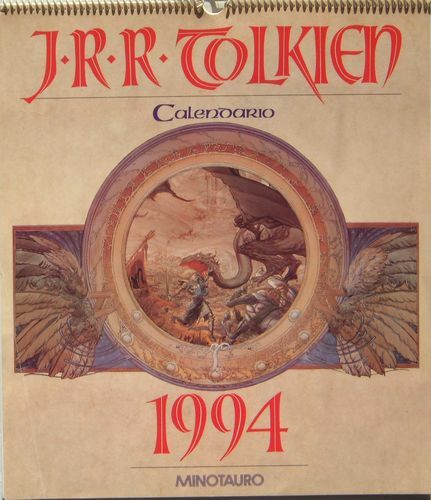 A wall calendar of the elvish "year" (loa) which began in March 1996: one sheet per elvish "month" (tuile, laire, etc) plus an illustrated front-cover; every cell included its Gregorian equivalent - also lunar phases and other info. 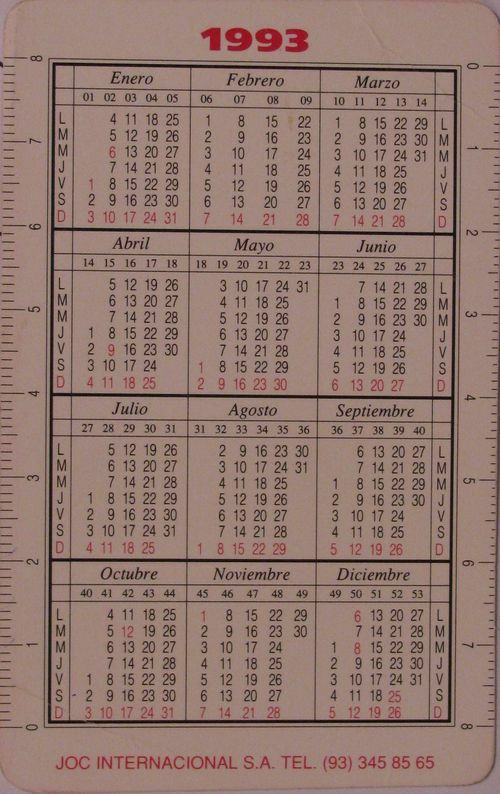 Dimensions: A4 size. Rarity: 8 It is estimated that a dozen or so were created. 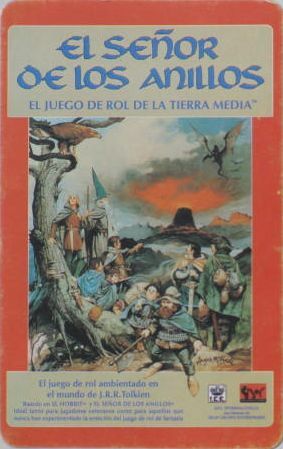 VARIANT: “J.R.R. 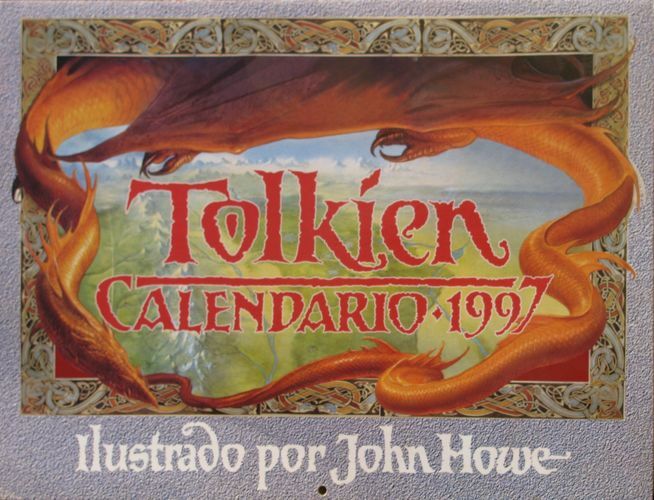 Tolkien Calendario 1997” Illustrations by John Howe. 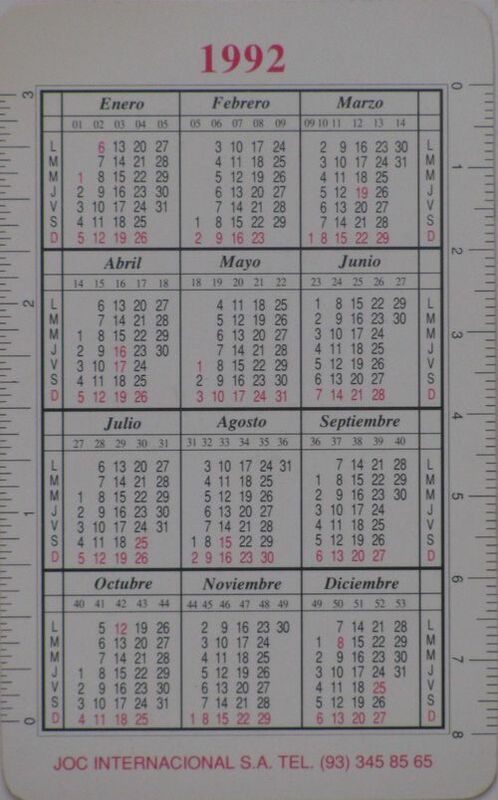 Dimensions: 13 1/2; x 10 3/8 inches (w x h); stapled; punched hanging hole; shrink-wrapped; with heavy cardboard insert. 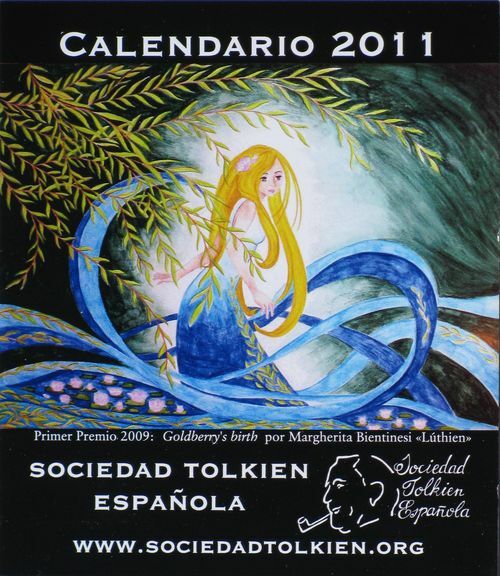 "Calendario de Imladris " Created by members of the Valladolid Smial of the Spanish Tolkien Society. 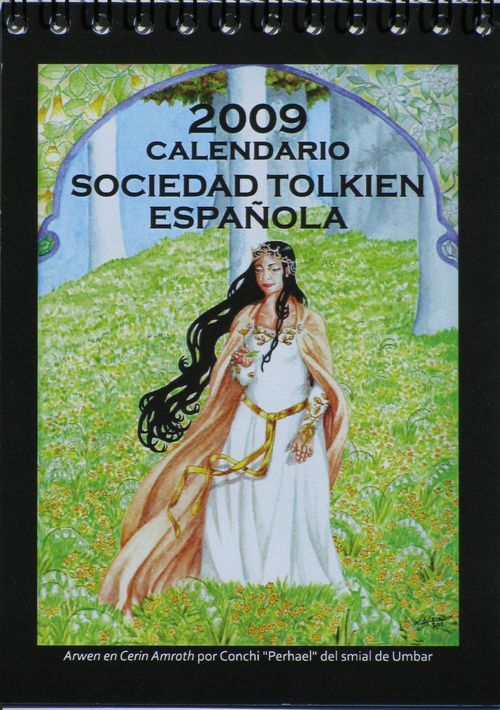 A pocket-size notebook with one sheet sheet per elvish "week" (enquie), plus one illustration at the beginning of each "month". 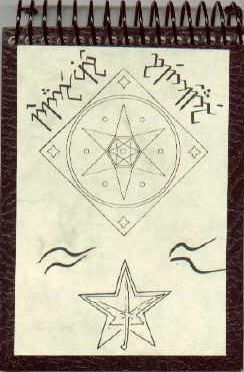 Dimensions: A7 size; black spiral wirebound. 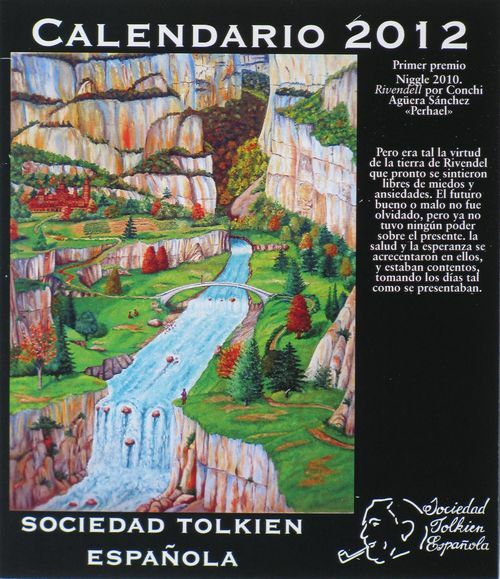 VARIANT: “Tolkien Calendario 1998” Illustrations by several artists. 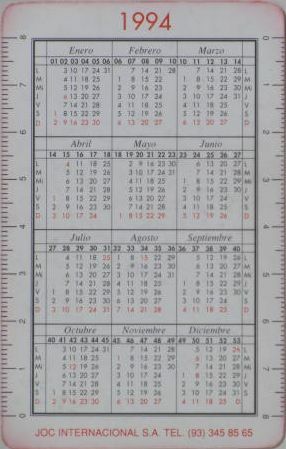 Dimensions: 13 1/2; x 10 3/8 inches (w x h); stapled; punched hanging hole; shrink-wrapped; with heavy cardboard insert. 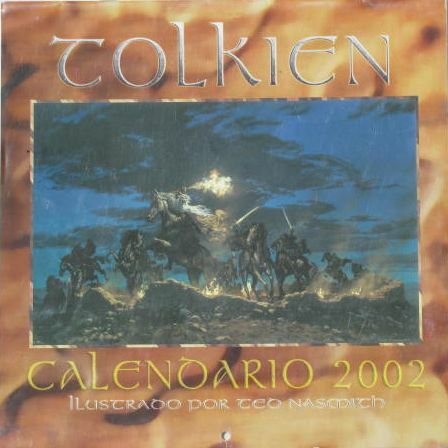 VARIANT: “Tolkien Calendario 2000 Ilustrado por Ted Nasmith” Illustrations by Ted Nasmith. 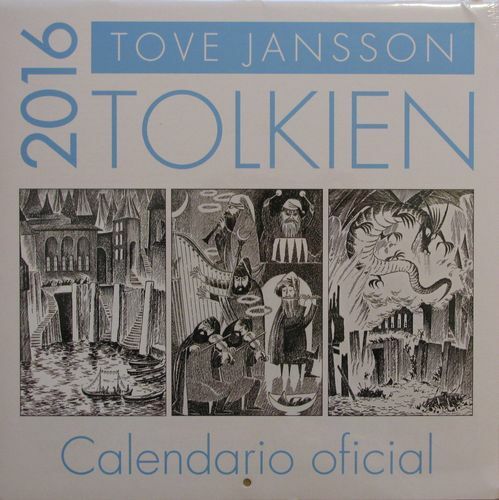 Dimensions: 12 x 12 inches (w x h); stapled; punched hanging hole; shrink-wrapped; with heavy cardboard insert. 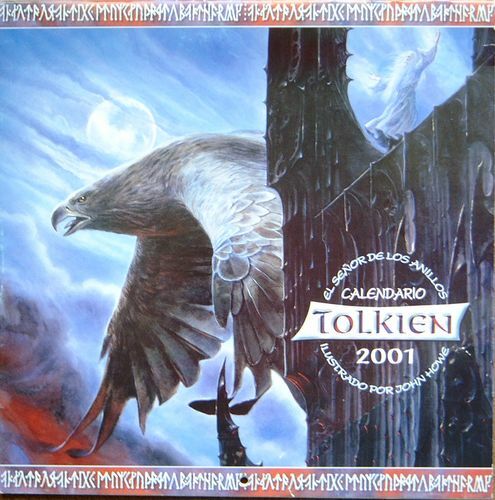 VARIANT: “Tolkien Calendario 2001” Illustrations by John Howe. 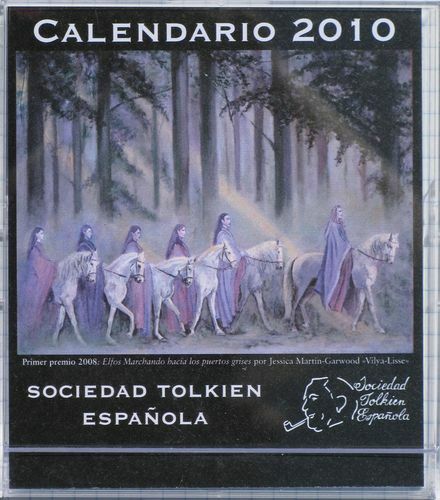 Dimensions: 12 x 12 inches (w x h); stapled; punched hanging hole; shrink-wrapped; with heavy cardboard insert. 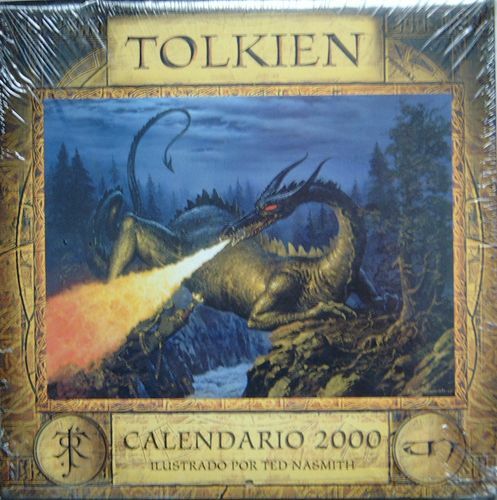 VARIANT: “Tolkien Calendario 2003, illustrado por Ted Nasmith” The paintings are all based on "The Two Towers". 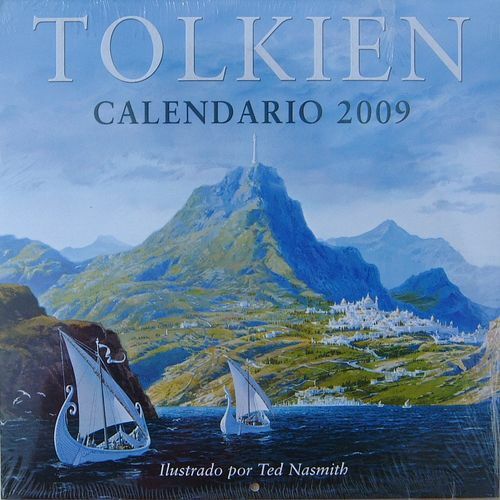 Dimensions: 12 x 12 inches (w x h); stapled; punched hanging hole; shrink-wrapped. 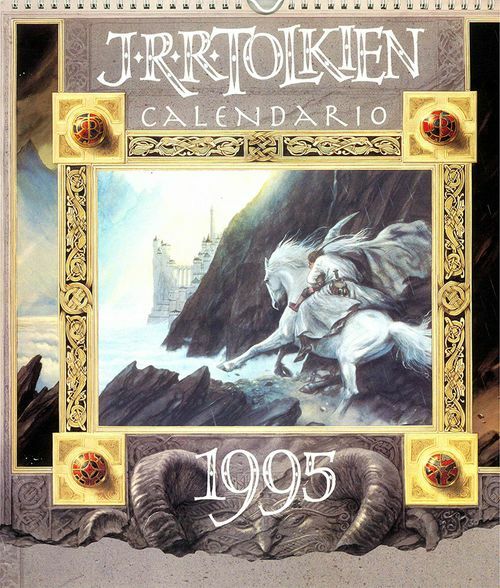 "2004 Calendario Illustrado por Ted Nasmith" Illustrations by Ted Nasmith. 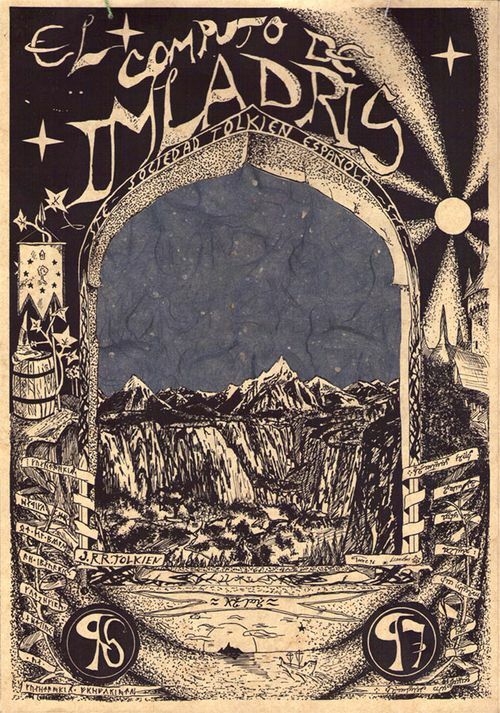 Dimensions: 12 x 12 inches (w x h); stapled; punched hanging hole; corrugated cardboard insert; shrink-wrapped. 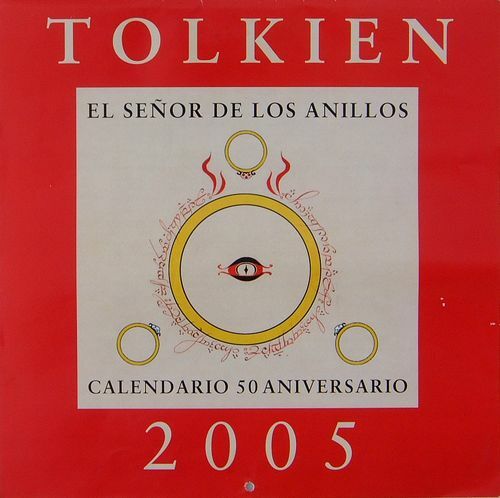 VARIANT: "El Senor de los Anillos Calendario 50 Aniversario" Illustrations by Professor Tolkien. 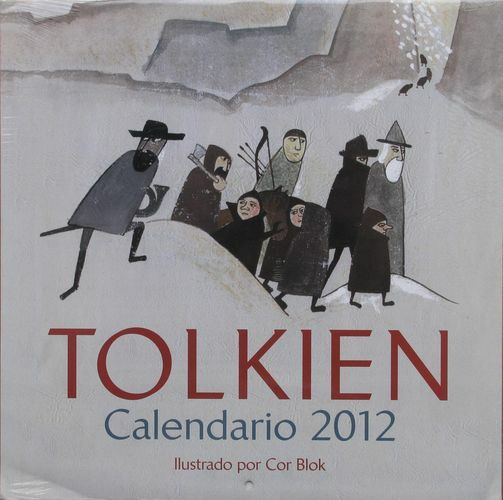 Dimensions: 12 x 12 inches (w x h); stapled; punched hanging hole; shrink-wrapped. 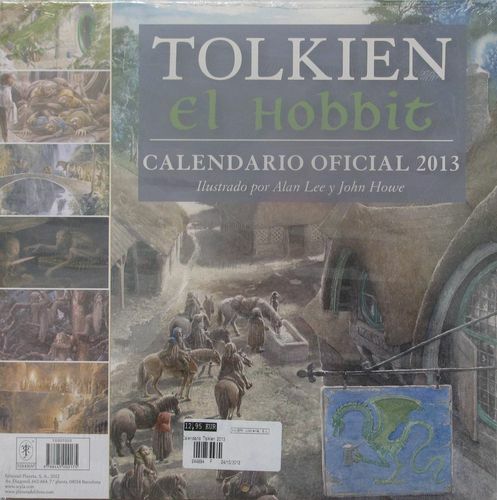 VARIANT: "Calendario del Hobbit 2006" Illustrations by Professor Tolkien. 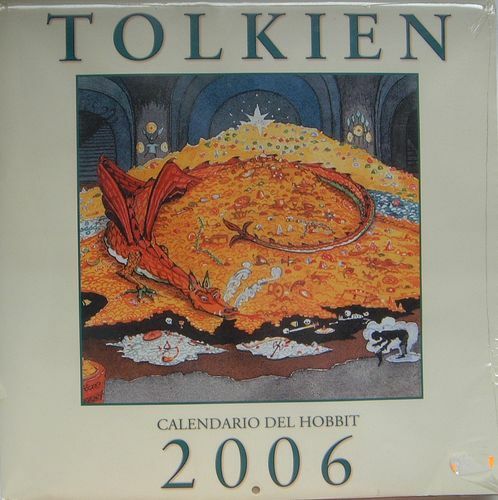 Dimensions: 12 x 12 inches (w x h); stapled; punched hanging hole; corrugated cardboard insert; shrink-wrapped. 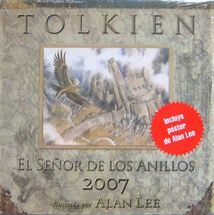 VARIANT: "Tolkien El Senor de los Anillos 2007 Ilustrado por Alan Lee" Illustrations by Alan Lee. 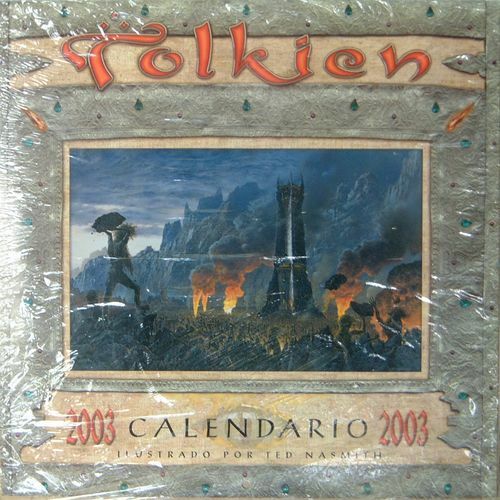 Dimensions: 12 x 12 inches (w x h); stapled; punched hanging hole; corrugated cardboard insert; shrink-wrapped. 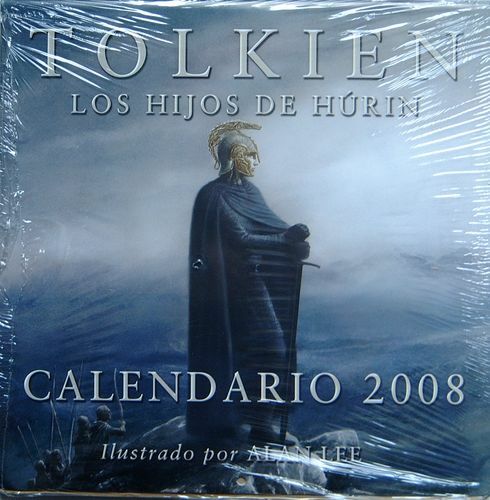 VARIANT: "Tolkien Los Hijos de Hurin Calendario 2008 Ilustrado por Alan Lee" Illustrations by Alan Lee. 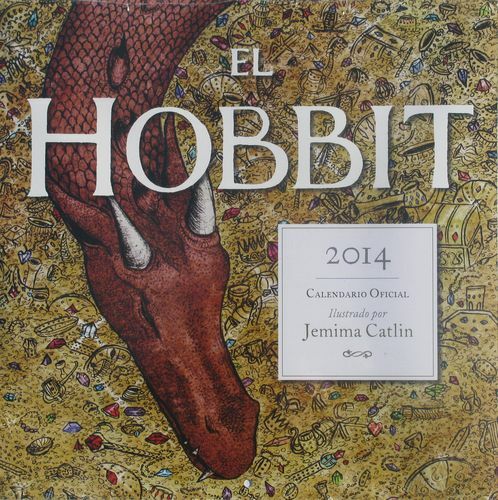 Dimensions: 12 x 12 inches (w x h); stapled; punched hanging hole; corrugated cardboard insert; shrink-wrapped. 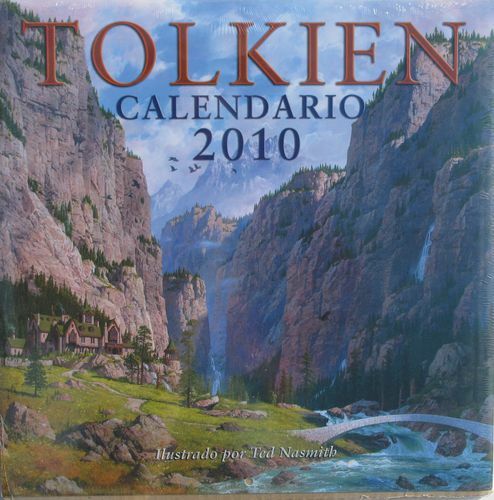 VARIANT: "Tolkien Calendario 2009 Ilustrado por Ted Nasmith" Illustrations by Ted Nasmith. 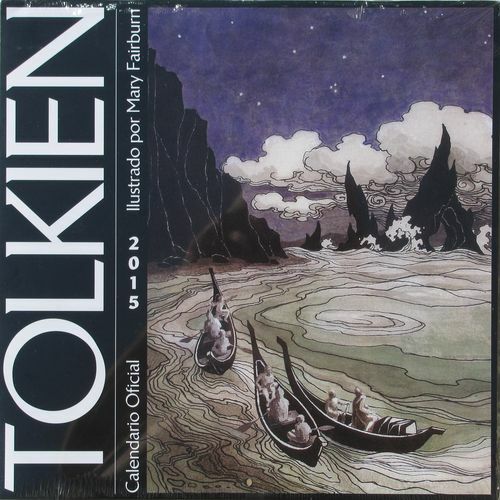 Dimensions: 12 x 12 inches (w x h); stapled; punched hanging hole; corrugated cardboard insert; shrink-wrapped. 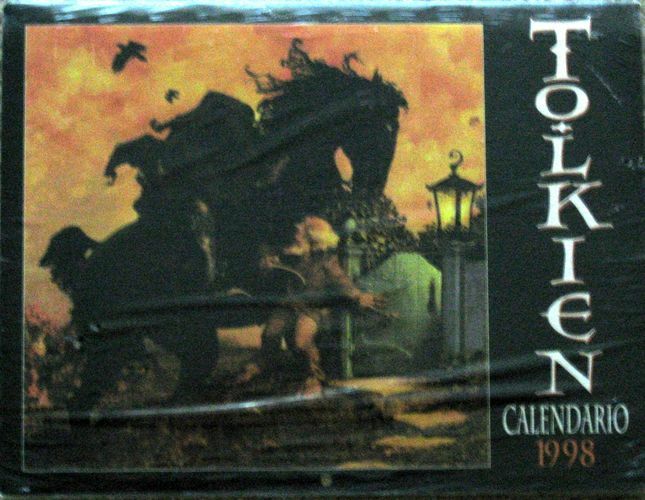 Rarity: 5 Although a commercial issue, these can be hard to find. 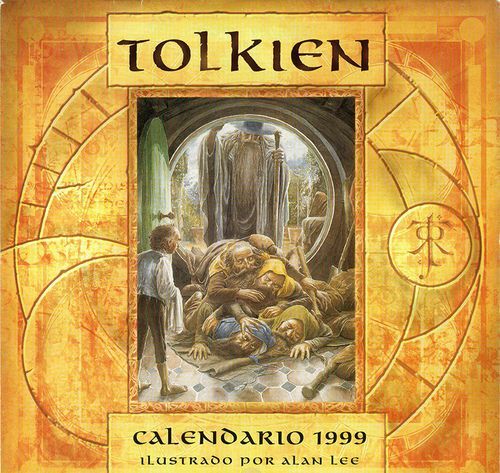 VARIANT: "TOLKIEN el Hobbit Calendario Oficial 2013 Ilustrado por Alan Lee y John Howe" Illustrations by Alan Lee and John Howe. 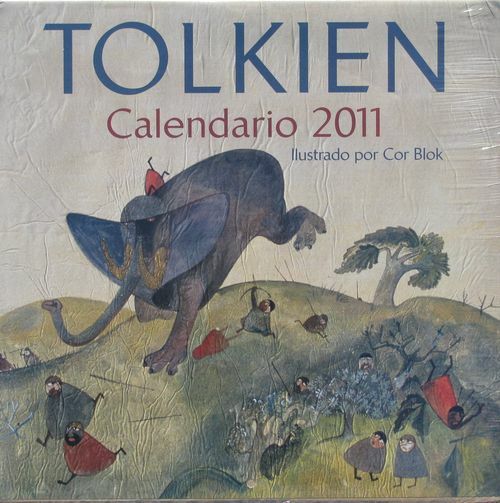 Features cover art by both illustrators on opposite sides of the calendar.Dimensions: 12 x 12 inches (w x h); stapled; punched hanging hole; corrugated cardboard insert; shrinkwrapped.